Karl from Austin is the coolest damn beekeeper I know. Not only does he examine his hives in a baby blue sweatband, but he paints his hives day-glo yellow. And this, his latest inspired move, is beyond rad — a Day of the Dead beekeeper he commissioned from Austin artist, Cindy Raschke. 3 Deeps = Overwintering Success? Despite being one of the coldest winters on record in Albuquerque (20° below, anyone? ), we had our best beekeeping winter yet. 3 out of our 5 hives survived and those that survived all shared a single characteristic: We left 3 deep boxes full of honey and pollen for the girls. Commercial beeks would likely gasp at our profligacy — how wanton! how wasteful! Why not dose up the hives with chemicals and sugar water and get that honey on the market? Giddyup. 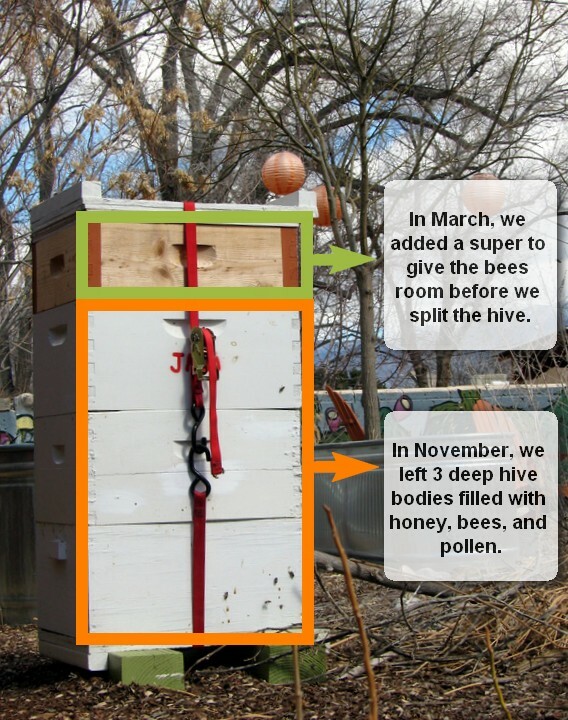 Thusly our girls survived Albuquerque’s Coldmageddon and we’re hoping it hints at a honey-filled summer ahead. You’d be thirsty too if you’d just hibernated for 4 months. Now that we’re consistently touching 60° in Albuquerque, my bees are out foraging and not just for pollen. The hunt for water is on! Though it’s only March, they’ve started to mob our water source, in this case a pet waterer (photos below), as they begin raising brood for the season. Fill a pet waterer, pond, bucket, or bird bath (as illustrated by my niece Sasha) with fresh clean water. Provide rocks or floating mulch chips for the bees to land on, so they don’t drown. 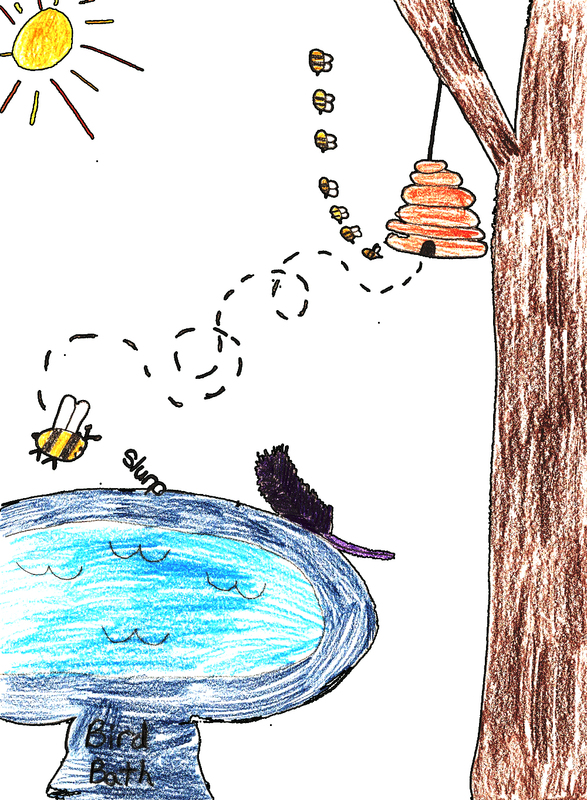 Be diligent about keeping the water source replenished, lest the bees move on to another source.